I remember going to a book signing event of a very well known Turkish writer in 2001 in Istanbul, whose advice was “Don’t only read books, also write. It is very important to share your world, your creativity”. I always wrote, whether it was travel blogs, scribbles in journals or even sometimes more formally. I guess we can all do this, share our knowledge and experiences. At the age of 34, Ozge tragically passed away in India on January 2nd 2012 after falling into a coma on December 30th 2011 due to a critical head injury. Her boyfriend Marcus Sorensen was with her throughout, and her last days before the accident were profoundly happy. 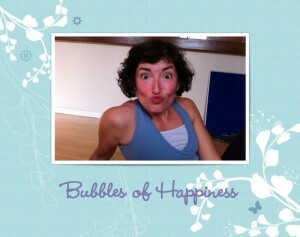 Her memory is being honoured through fundraising for her favourite charity at www.JustGiving.com/BubbleOfHappiness. Using Ozge’s photography, wise (and less wise) sayings, musings and recipes for creating happiness, a book called “Bubbles of Happiness” is now available for purchase via Lulu.com. It was compiled with much love, laughter, gratitude and many blessings by Marcus Sorensen, who had the privilege of knowing Ozge’s quirky routes to happiness rather well. All profits from the book sales go to Macmillan, Ozge’s favourite charity. Bubbles of Happiness is guaranteed to be good for the soul, and comes with a warning that it may provoke ideas, smiles, fond memories and a slightly different way of living.